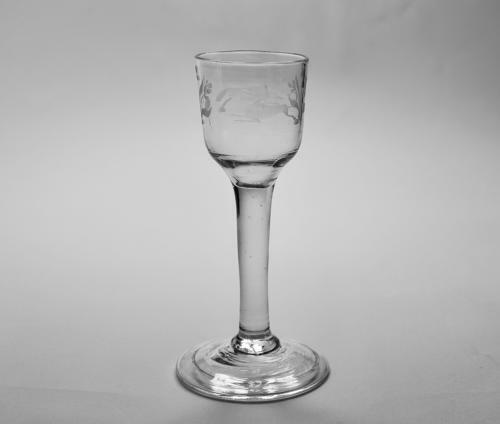 Plain stem wine glass with ogee bowl and folded foot. The bowl engraved with two running hounds and two simple sprays of flowers. English C1750.